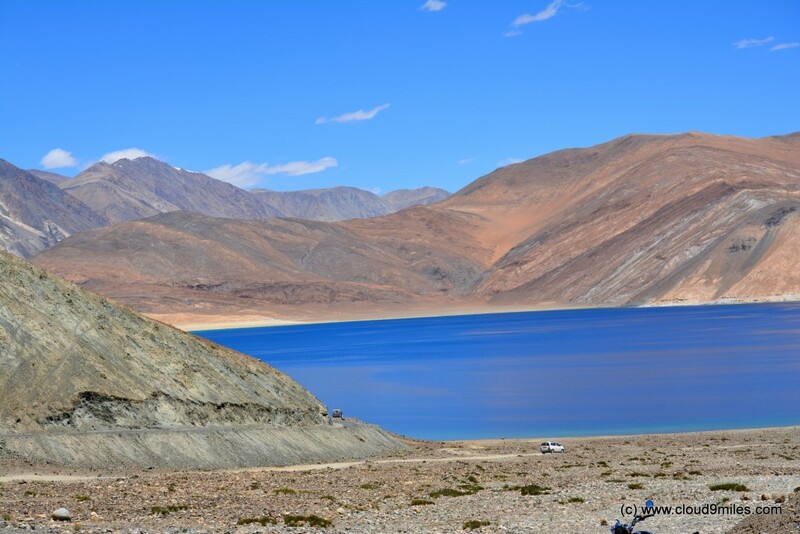 Pangong Tso also referred to as Pangong Lake, is an endorheic lake in the Himalayas situated at a height of about 4,350 m (14,270 ft). 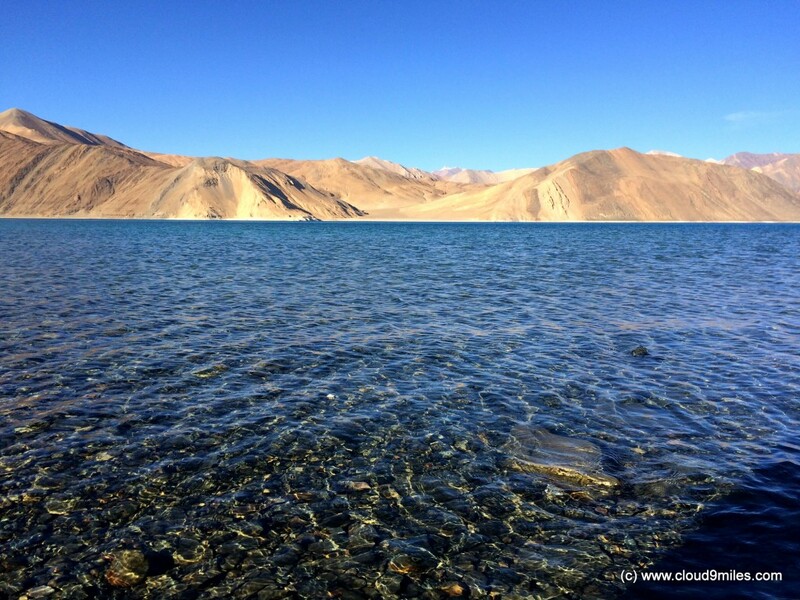 In the barren land of Ladakh, Pangong Tso is one of the largest brackish water lakes in Asia. 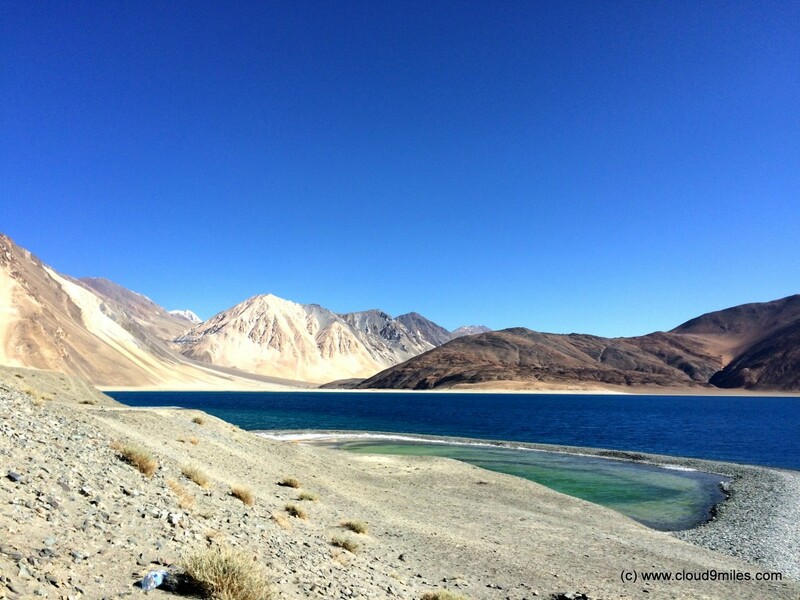 The crystal clear blue lake sprawls over an area of 134 KMs across the borders of two countries in India and China. 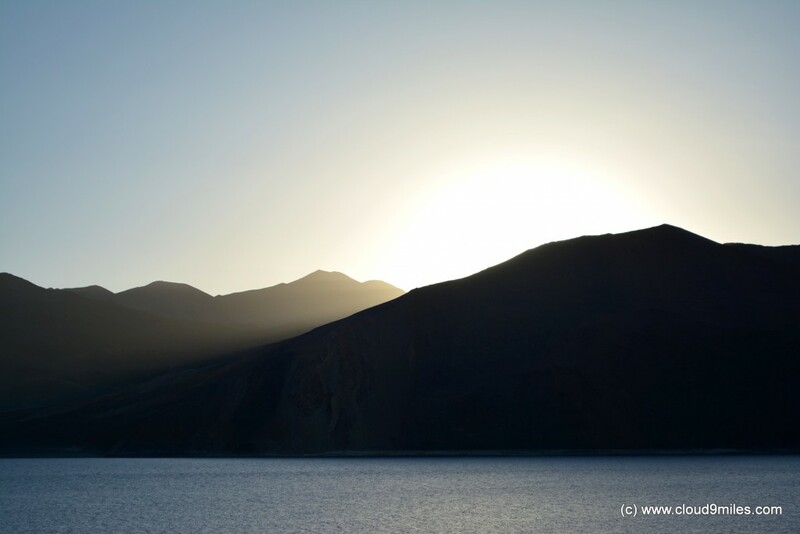 Approximately 60% of the length of the lake lies in China. 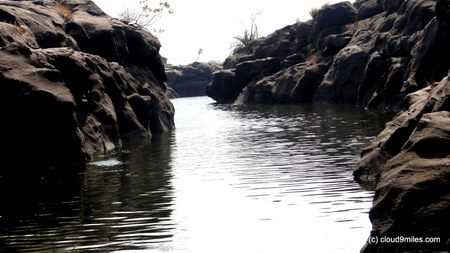 The lake is 5 KM wide at is broadest point. 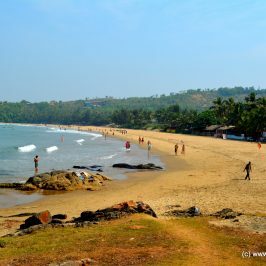 All together it covers 604 square kilometer. 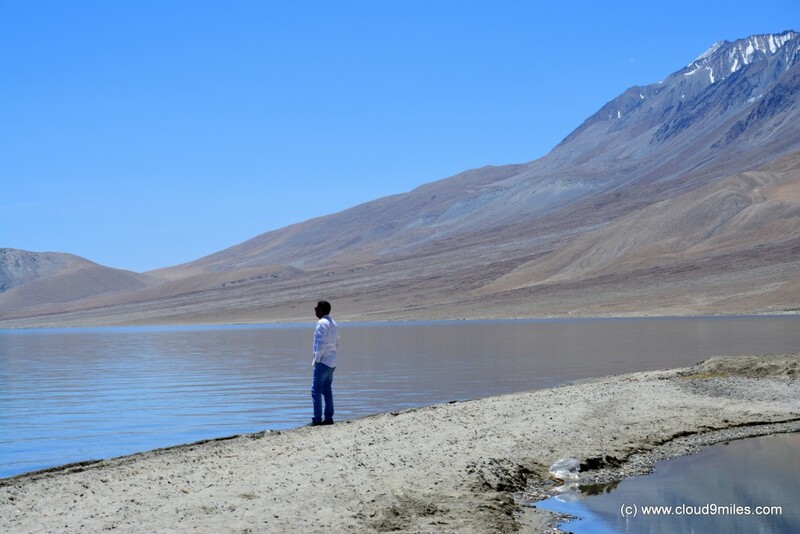 During winter the lake freezes completely, despite being saline water. An ice skating festival is organised here, which sees participation of ice skaters from across the globe. This gala event also sees cultural performances from the local people. 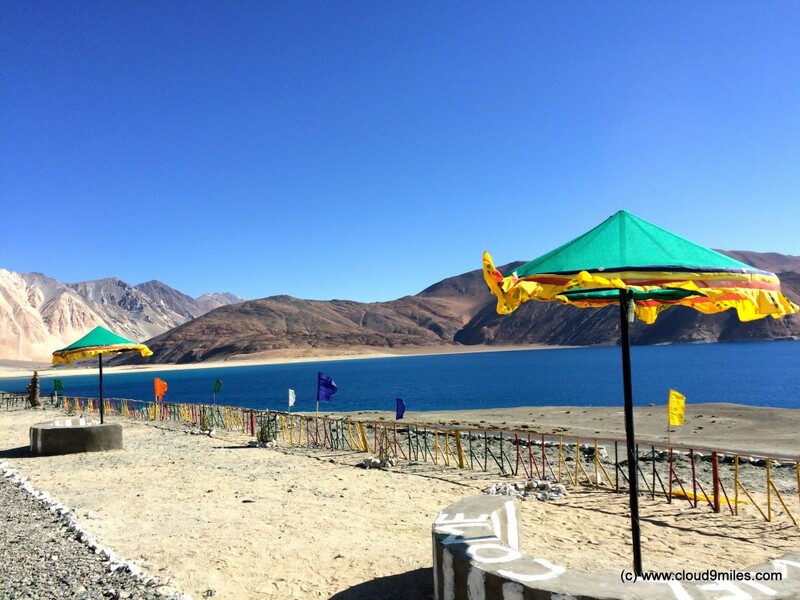 It is one of the charismatic lakes situated on the Changtang Plateau in eastern Ladakh region. 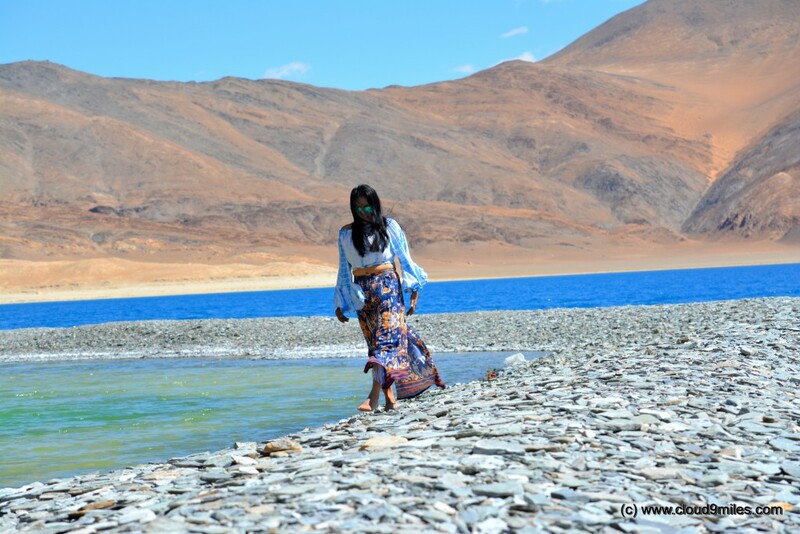 The low biodiversity in the lake has been reported due to high salinity and harsh environmental conditions. 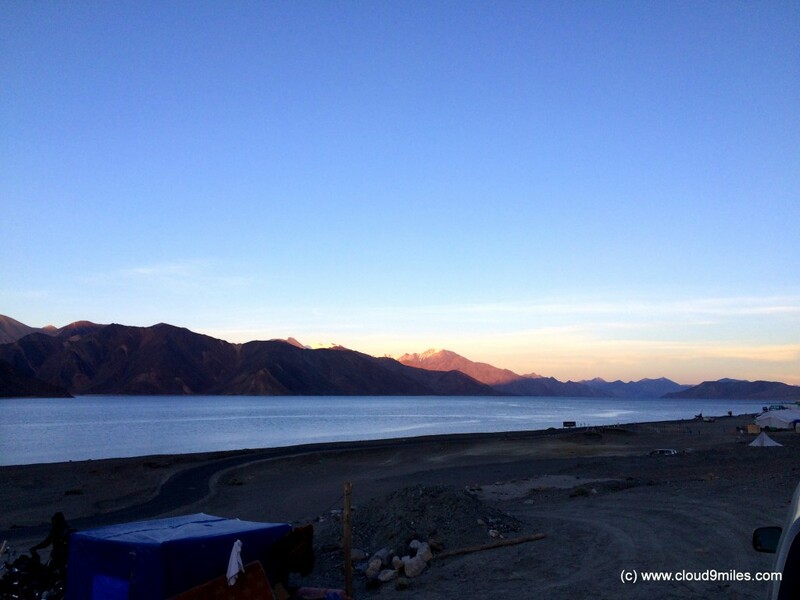 We covered the distance of 153 KMs (Leh to Pangong Tso) and reached @ 6:00 p.m. before sunset. 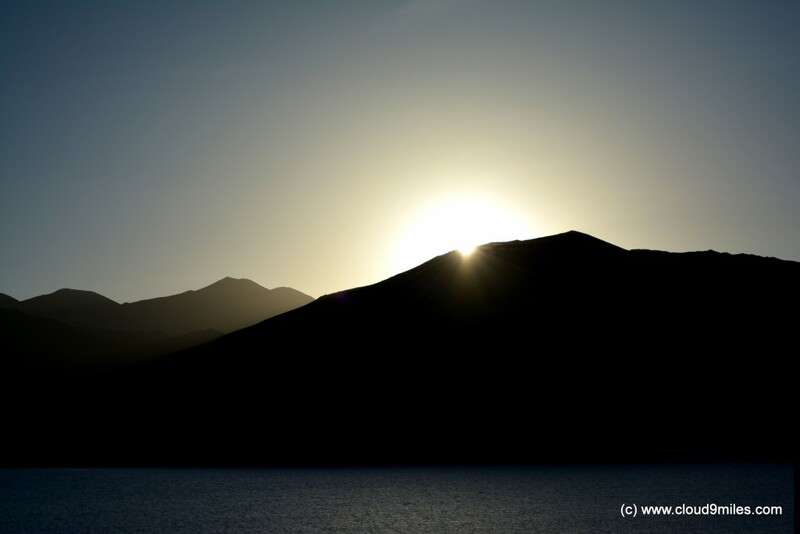 Our wish was to witness both sunset as well as sunrise and it seemed weather were in our favour during this trip. 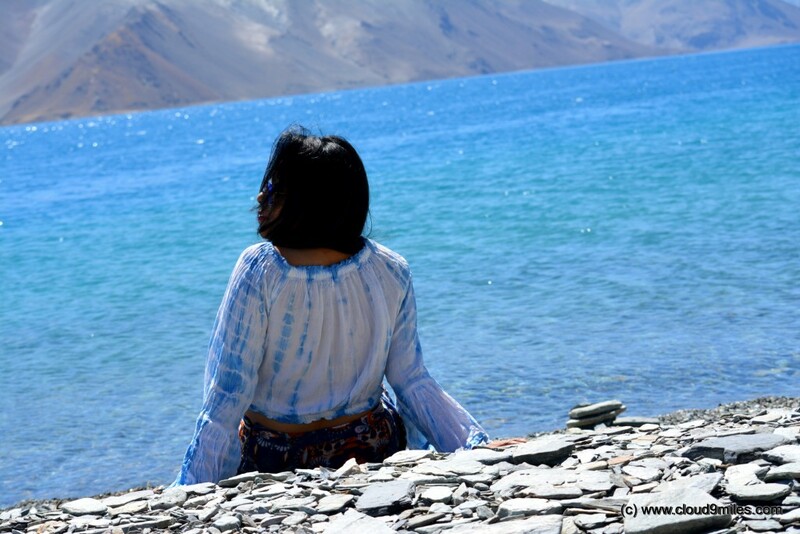 The first glimpse of the tranquil, azure blue waters, shaky lakeshore would remain embedded in our memory forever. 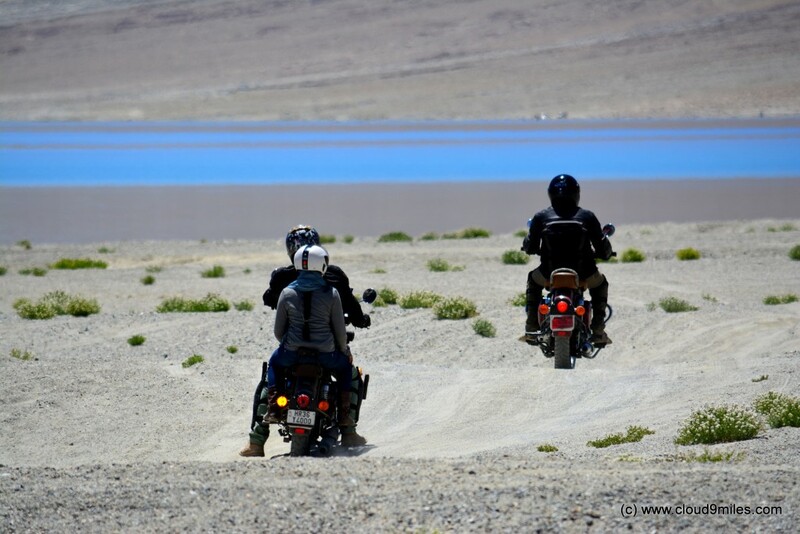 Before reaching Pangong Tso, we passed through beautiful Ladakh countryside, tough terrains, over Chang La, the third highest motorable mountain pass in the world with traces of snow along the road & frozen Tsoltar Lake. 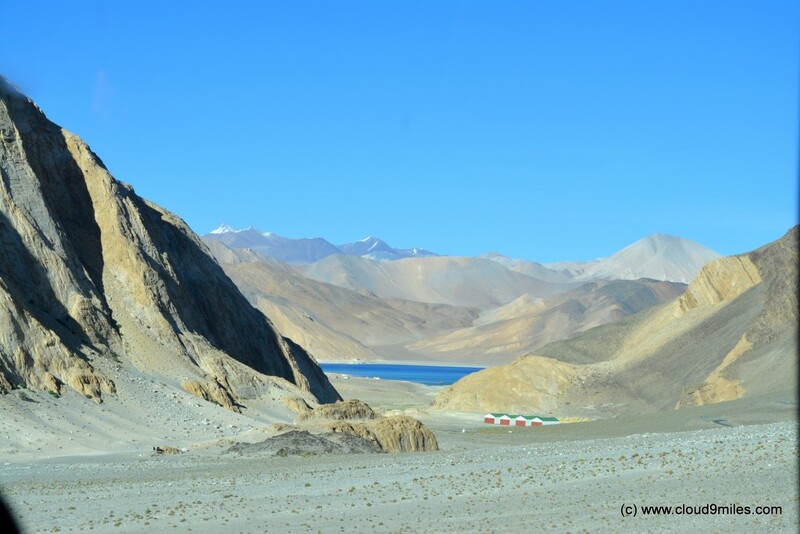 At Pangong Tso, the mountains in the backdrop appeared to be painted in the colors of green, brown and violet. 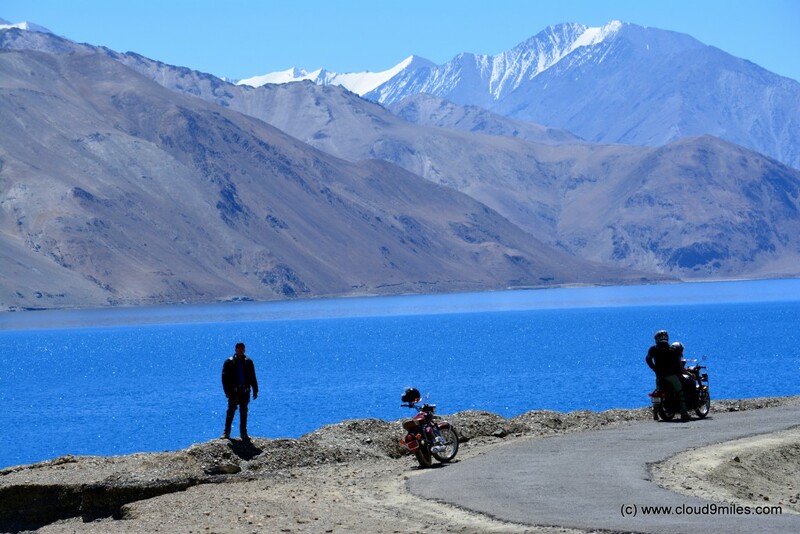 Pangong Lake appeared as a clear representation of nature craftsmanship. The brackish water played with sunlight to produce different effects of light and colour. 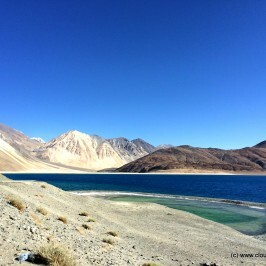 First glimpse of Pangong Tso! We were on the brink of sunset and found a suitable place for camping. 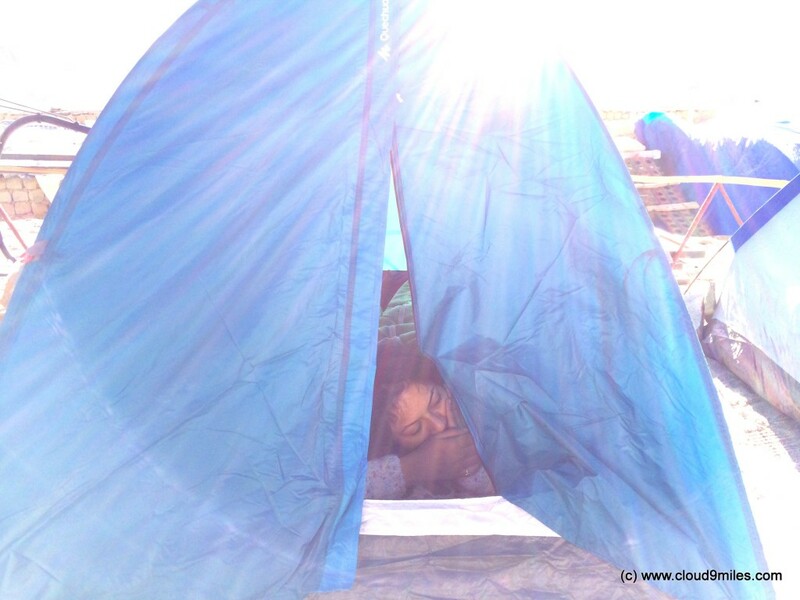 We started pitching our tent and were all done before dusk. 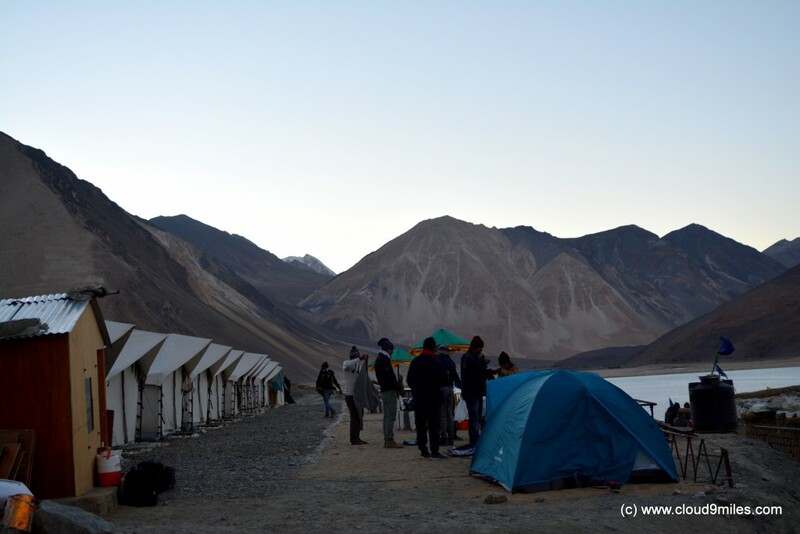 The temperature went down drastically with sunset thereby giving us a hint of harsh conditions for the evening. We were also determined to face the challenge thrown to us. 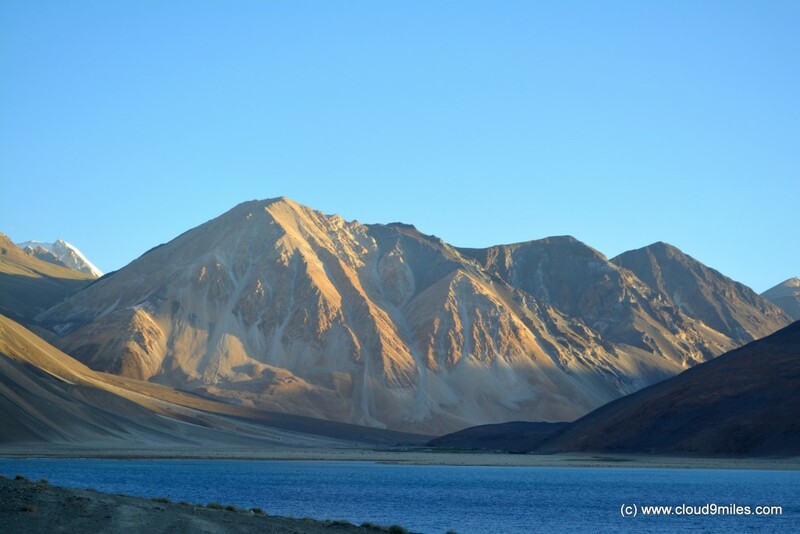 We witnessed beautiful sunset and its effect on the surroundings wherein the barren snow capped mountain turned golden, the lake changed its colour with passage of time, and finally giving way to zillions of twinkling stars. 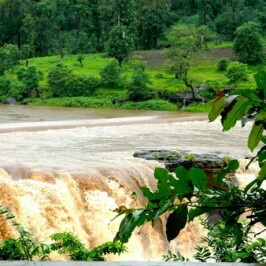 An overwhelming sight of nature at its best! Here came the time to set the dice rolling with bonfire and music. 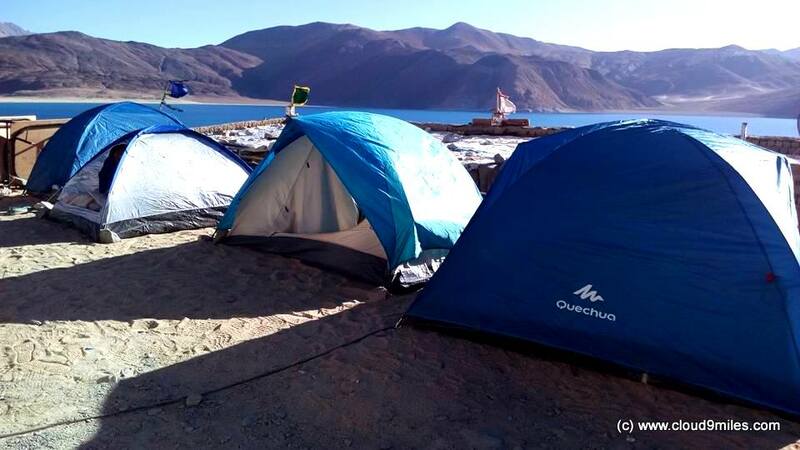 After spending some time, we set ourselves in the sleeping bag inside the tent with an outside temperature of -1 degree centigrade on a very windy night. We came out trump by overcoming one of the toughest conditions in the night. 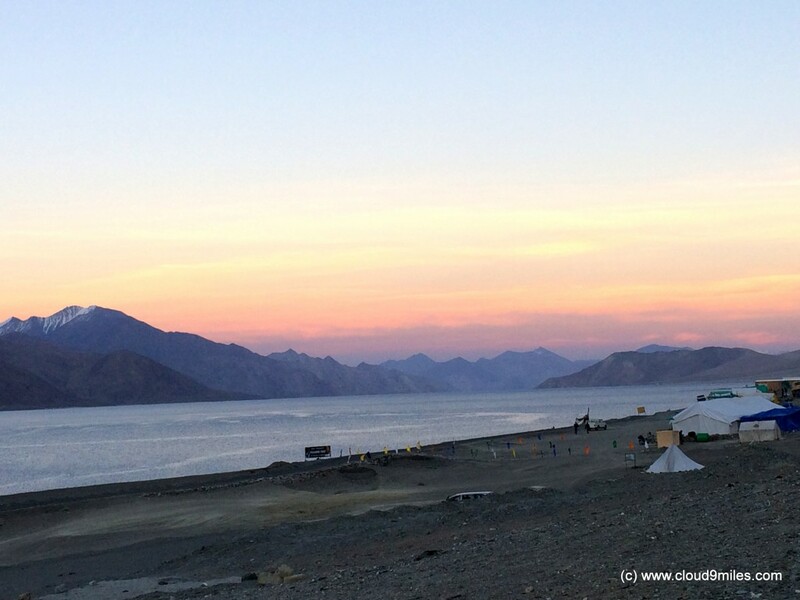 As amazing sunset followed with overnight camping near Pangong Tso and greeted by a beautiful morning. If sunset was amazing than sunrise was also equally good. 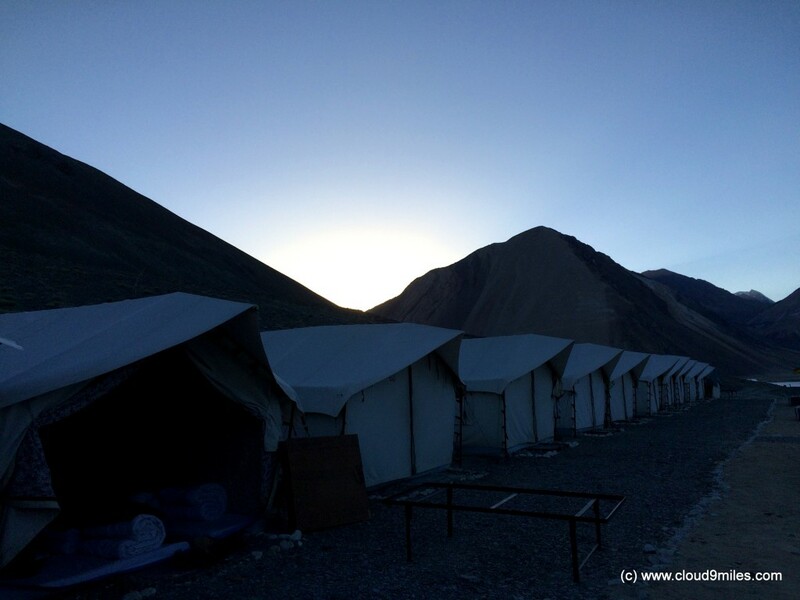 Once again we witnessed a change in the complexion of place with sunrise. 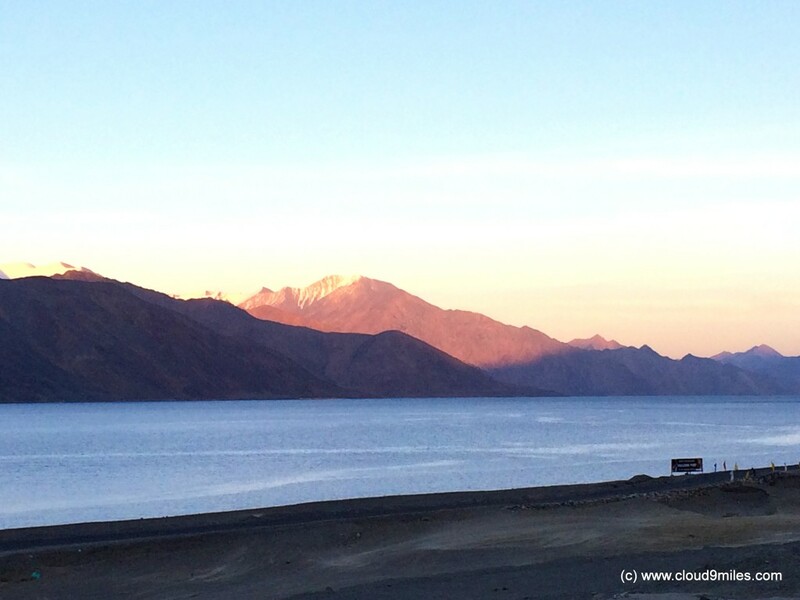 Glowing mountains and shadowed lake before sunset! 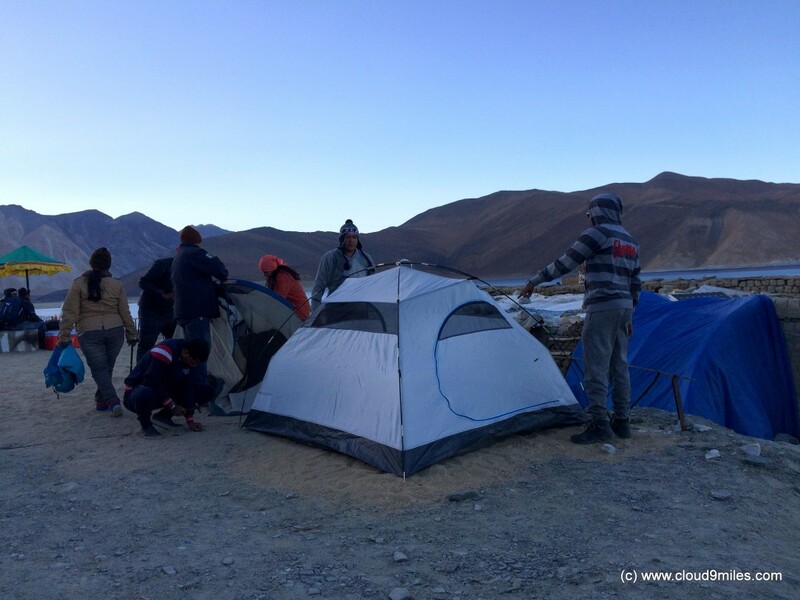 Setting up tent for overnight stay! The golden shade just before the sunset! A different shade post sunset! I am coming back to give light and energy! 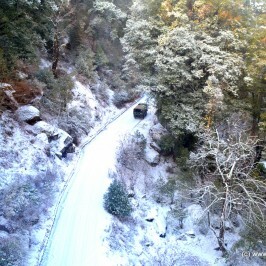 Sneaking out of the mountain! 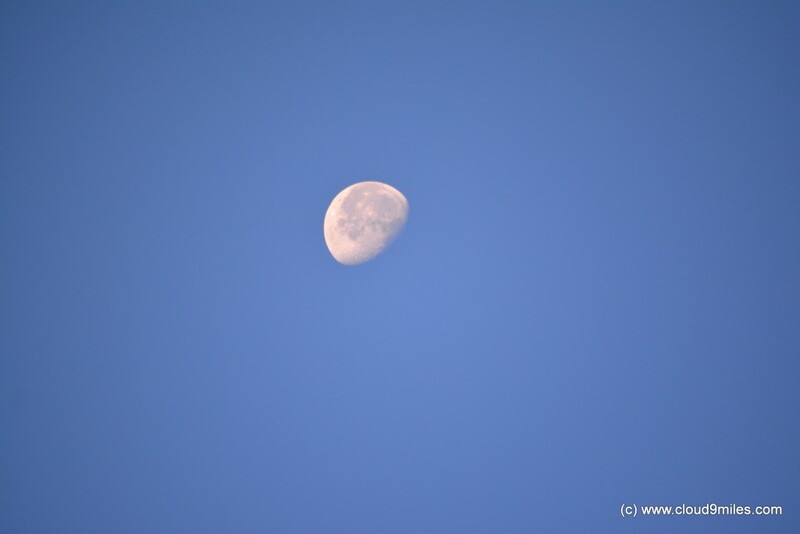 The moon just at sunrise! 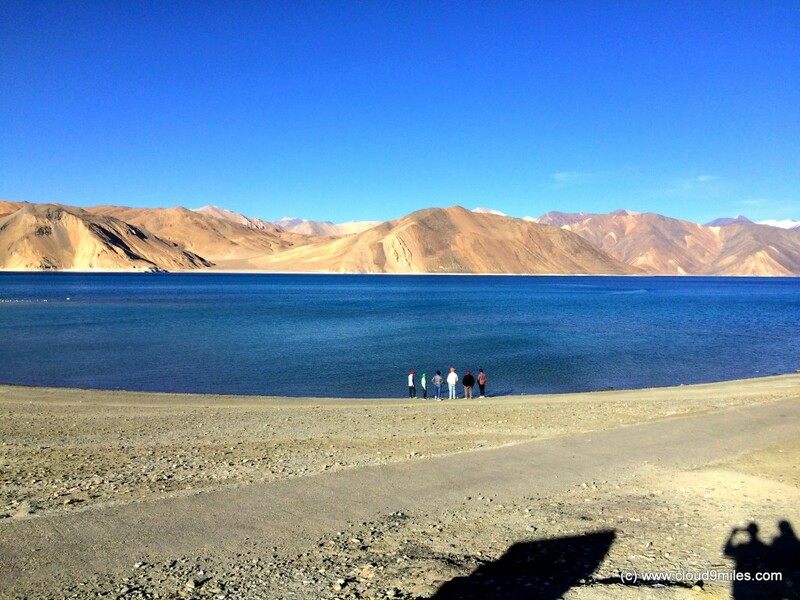 Good morning @ Pangong Tso! We won against harsh conditions – an outside temperature of -1 degree celcius! 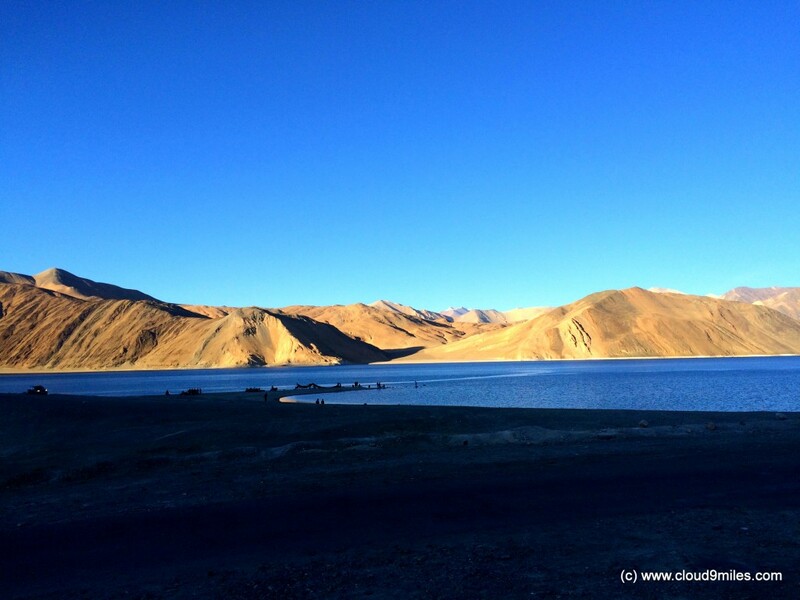 A morning drive alongside lake and some off-roading adventure kicked off the day in style. After breakfast we set out towards lake and lived the moment. 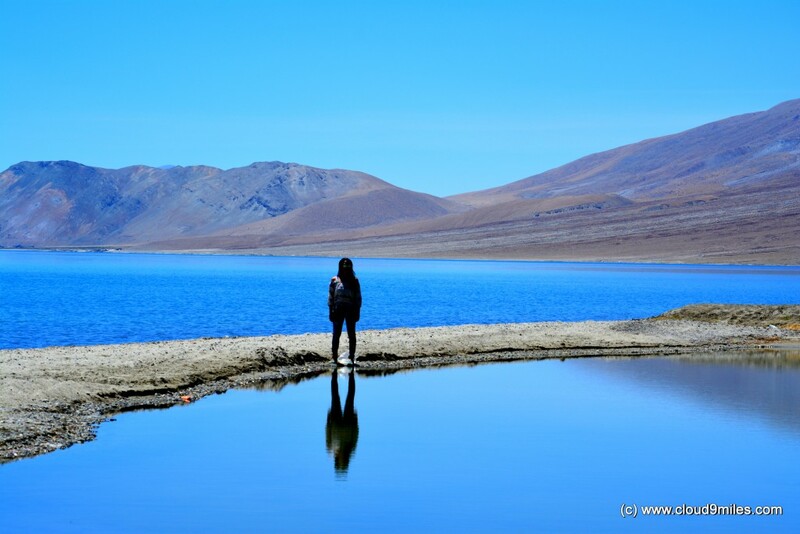 We tried stepping into the lake but could not hold on to it for long time as the water was freezing cold. 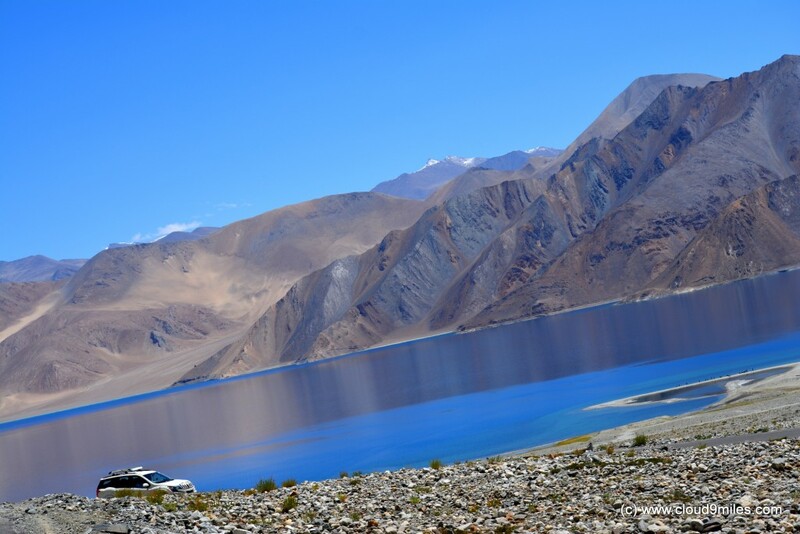 The drive through the narrow roads along side the picturesque lake was amazing. 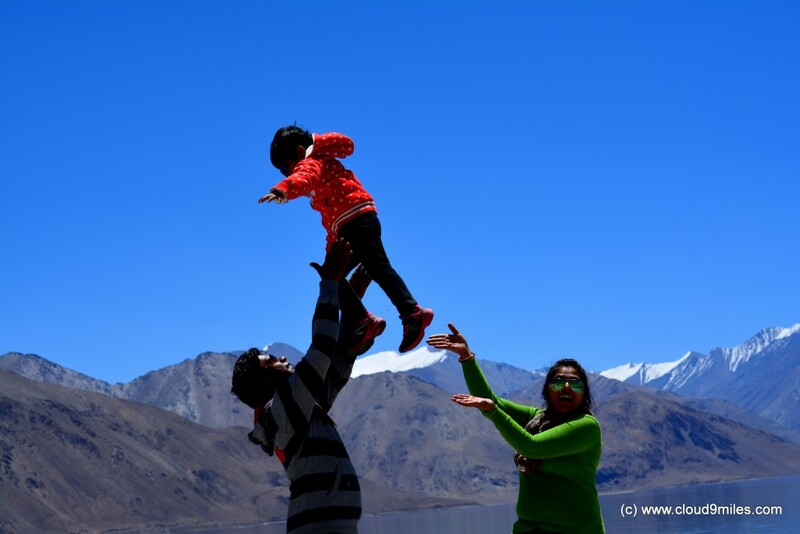 As time flies, there came the moment to bid adieu to this mesmerising lake after enjoying every aspect of our stay and it all went as per our plan. The feeling of finding yourself and reaching a state of oblivion was omnipresent. 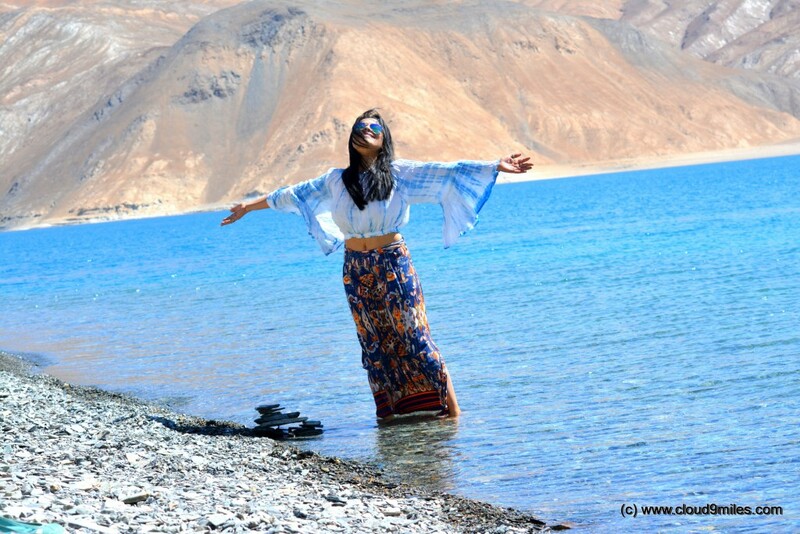 The reflection of barren mountains and a clear blue sky on the brackish waters of Pangong Tso was a sight that will remain in our heart till eternity! 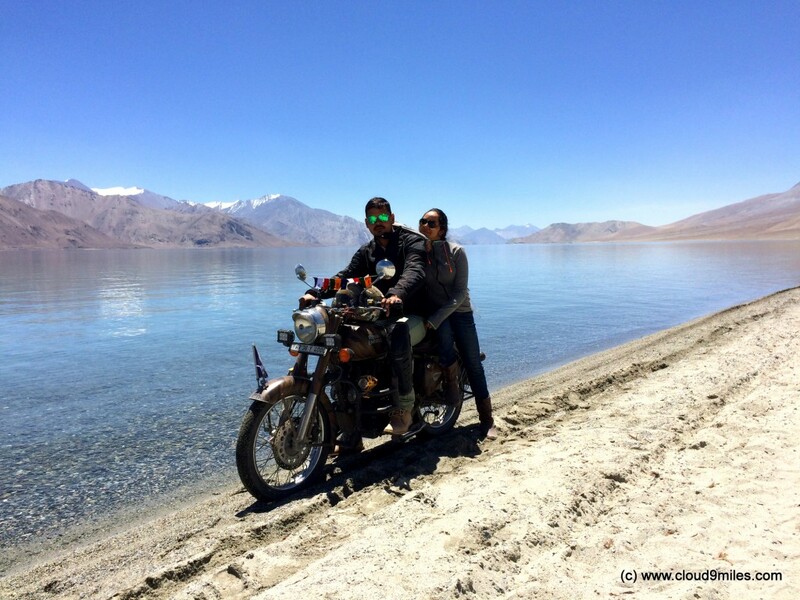 All set for the morning drive along side Pangong Lake! 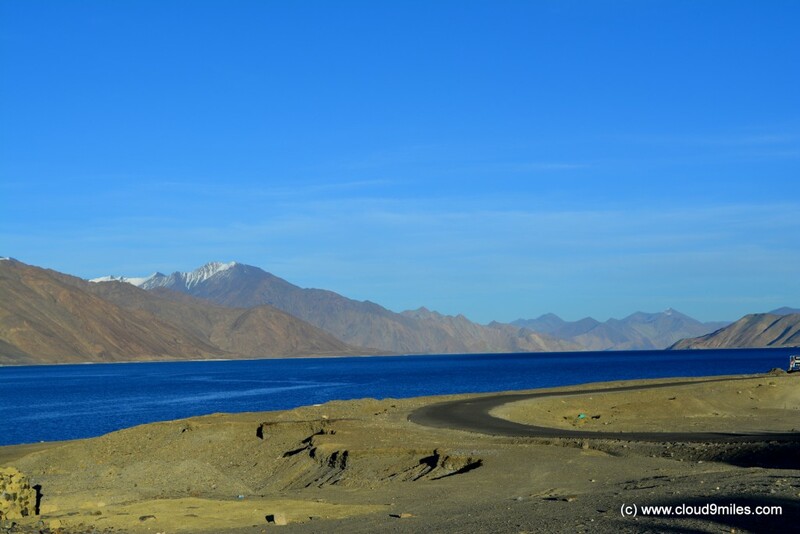 A reflection – shades of blue! A resort facing the lake! 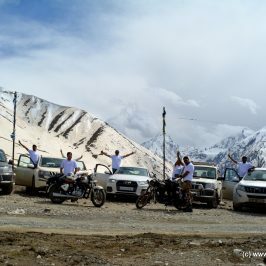 Off-roading – the real fun! 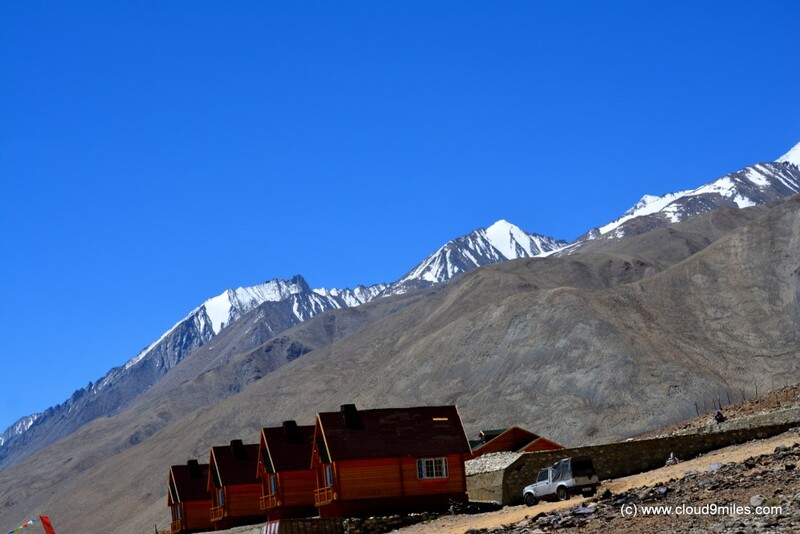 Stand and admire the nature at its best!